• Blade with single alignment line on the flange. • Heel Toe balanced putter with a full shaft of offset. 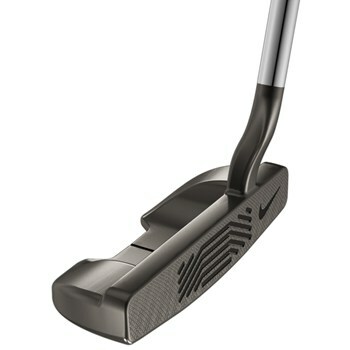 • Polymetal Groove Technology starts the ball on a forward spin faster than a standard milled steel putter. • The polymer material dampens vibrations at impact for softer touch, while the milled steel face maintains audible feedback for proper distance control. • The ported Polymetal Groove Technology allows 30 grams of internal weight to be moved from the face and body and relocated to the perimeter for higher MOI and added stability.